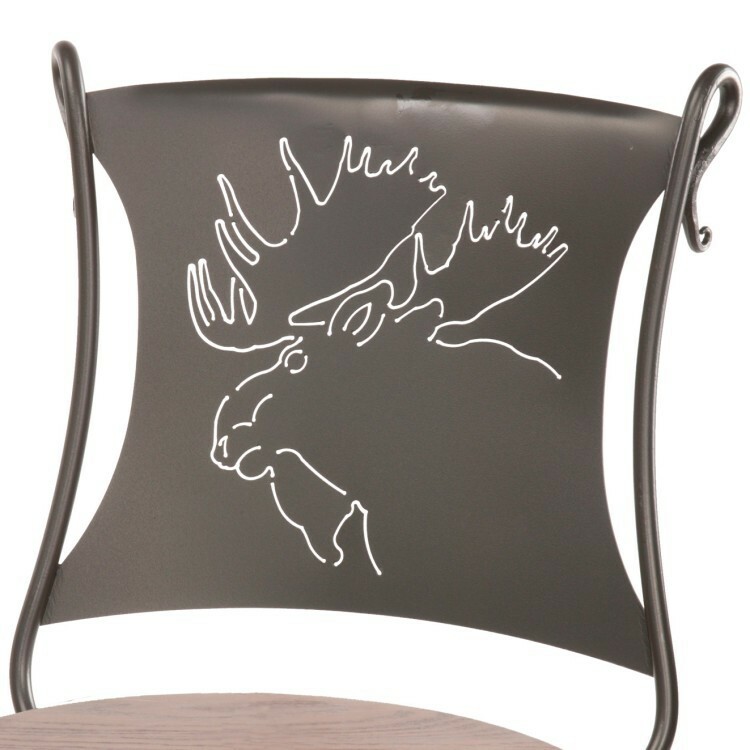 Our rustic wrought iron moose bar stools are hand forged, the metal back features a hand-crafted moose head design. 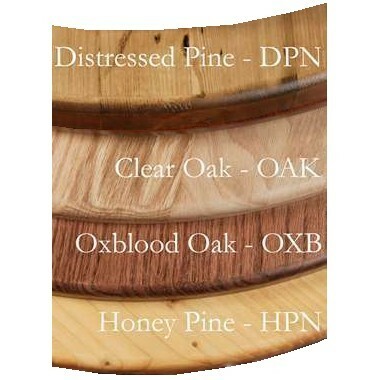 These lodge style bar stools have a black finish and a wood seat available in your choice of four colors. Made in the USA. Our rustic wrought iron Moose Bar Stools with Wood Seat are hand forged, the metal back features a hand-crafted moose head design. 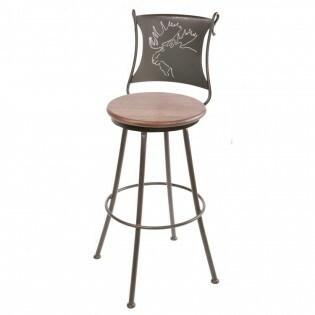 These lodge style bar stools have a black finish and a wood seat available in your choice of four finishes. Made in the USA.